Locksmiths are there to help you when you need them most, but it’s important to make sure to use a certified locksmith. Wanna know why? Read on to find out. You might not think of locksmithing as a trade with a long and rich history, but you should. Locksmithing’s roots go back nearly 4000 years to Ancient Egypt and Babylon. As you might imagine from such a long-lived profession, it’s a highly specialized skill with tricks and secrets that only a trained professional knows. That’s why hiring a certified locksmith is always your best bet when dealing with any lock situation. If you’re still not convinced, here are 5 reasons to go with a certified locksmith. As mentioned before, certified locksmiths are privy to highly-specialized and in-depth training that comes from a long history. Every professional locksmith undergoes a training regimen that ensures they can handle any job that’s thrown their way. Locksmiths aren’t just trained to crack a tough lock when you lose your house key either. Their training makes them the best option for any task involving a lock. Whether it’s installing a new lock, getting into a locked hard, or making a new key, certified locksmiths will get the job done quickly and efficiently. While the aforementioned training makes any damage unlikely, some extra peace of mind is always welcome. No matter how skilled the locksmith, unforeseen circumstances sometimes arise, and that can on rare occasions lead to damaged property. Even though it’s not likely you’ll need to worry about this, it’s a guarantee you can’t get anywhere else. Certified locksmiths are not only skilled, but they’re also willing to take responsibility for any mistakes that happen on the job. This is something you won’t get from an amateur. Locksmithing is really a noble trade. Not only is it a skill very few people possess, but a good locksmith can also sometimes be the person standing between your property and intruders. There are many conceivable scenarios where you’d want to change your locks. 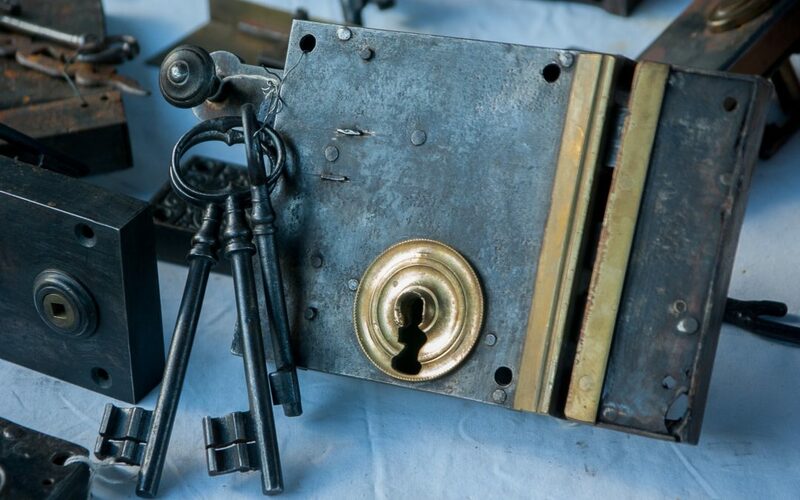 Whether you’ve just moved into a new house, went through a bad breakup, or recently lost your key, a certified locksmith offers that extra security when you need it most. You’d be hard-pressed to find an occasion on which a certified locksmith isn’t available to help you out of a tough situation. Locks don’t discriminate on when they choose to break, but luckily, locksmiths are always on call. Whether it’s in inclement weather or in the middle of the night, you can usually find a locksmith to come help you out. What’s more, they’ll get the job done in a timely manner so you can go about the rest of your day quickly. Certified locksmiths are people who take their profession seriously and treat it with the utmost reverence. Likewise, they show respect to the people who enlist their services. Any good locksmith is driven by a desire to help. This extends to everyone. You can rest assured that a certified locksmith will always treat you with the respect you deserve, no matter who you are. As you can see, a certified locksmith is the only way to go for all your lock-related needs. Don’t settle for less. If you find yourself in need of a locksmith, go with the best. Get the solution to all your lock needs right here.